With Thanksgiving behind us, I wanted to share some jazz songs that make me feel grateful. "S'Wonderful" is from Gershwin's "Funny Face." A popping, smiling song, Fitzgerald's emotive articulations bring each line to life. A silly sounding lyric, "S'Wonderful" jumps with excitement with an upbeat, call and response big band accompaniment. 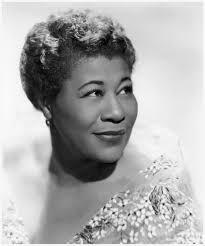 Duke Ellington's "Sunset And The Mockingbird" is from his "Queen's Suite." Ellington wrote the "Queen's Suite" for Queen Elizabeth II who was presented with a single pressing of the recording which was not commercially issued during Ellington's lifetime. This soaring melody emotes reverence in such a crystalized form - you can't help but feel inspired and grateful while listening! Frank Sinatra had several hits with the Dorsey band, his first being the ballad “Polka Dots and Moonbeams." A floating song, "Polka Dots And Moonbeams" seems to see the world with rose colored glasses. Sinatra phrases each lyric as if he's skipping, with the top of lines spiraling upward with momentum. Louis Armstrong brings a nostalgic sense of gratitude to "When You're Smiling," by leaning on each word: "When you're smiling/ The whole world smiles with you." This sense is heightened by the drawn out bends and vibrato in each trumpet phrase. 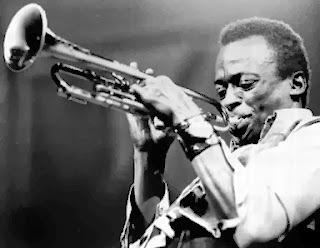 Miles Davis recorded "It Could Happen To You" on his album Relaxin' With The Miles Davis Quintet. The album includes saxophonist John Coltrane, pianist Red Garland, bassist Paul Chambers and drummer Philly Joe Jones. The lighthearted sound of muted trumpet and Coltrane's bright, straightforward sound combine for a sunny, joyful take that leaves you dancing. Every week I am so grateful to share jazz music through writing and playing. I am also very grateful for anyone that reads and learns from my posts!